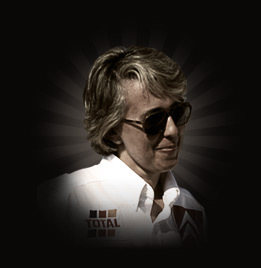 Fabrizia Pons came close to winning the World Rally Championship with Michele Mouton in 1982, but eventually had to settle for second. She is also one of only two people to have achieved world championship points both as a driver and a co-driver, having finished ninth overall in the 1978 San Remo Rally before concentrating on co-driving. "It was sheer joy to work with Fabrizia. Maybe I needed this experience to appreciate what it's like to have a female co-driver, who calls out the notes in gentle tones that have a downright soothing effect for a driver's peace of mind! Yet, she could speed up the tempo as the situation required, then calm down again to supreme clarity. She had a unique way of writing the pace-notes in just two upright columns, one on either side of the page. That enabled her to follow each column with a thumb, so there was never any risk of missing a note. So clever! Another example of her professionalism was evidenced in Greece. When we approached Athens and came to the toll gate at the end of the motorway I expected her to act like any other co-driver and start digging coins from a wallet that's in a bag somewhere in the back of the car. Not Fabrizia. She had a 100 drachm coin neatly taped to the corresponding page of the road book! Of course changing a tyre mid-stage is not her forte, but she has done ballet and ridden motocross, so I don't mean to suggest that fitness is a problem at all. Fabrizia is a very intelligent and professional partner to have in the car. And by far the most pleasant of my co-drivers! That was the golden period of my life: at home I followed the orders of Rita and in the car the orders of Fabrizia!"